Accepting a NextMinute User Invite - Mobile – Welcome to the NextMinute support and feedback centre. 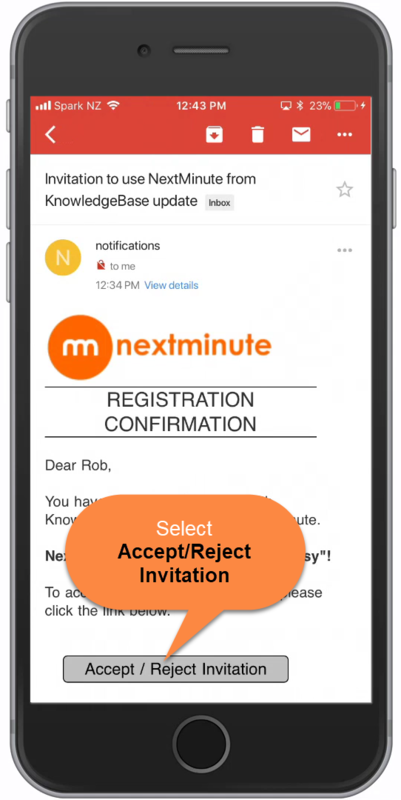 In this article we take you through the steps in accepting a NextMinute user invite via your mobile device. Your NextMinute account has now been created. If you haven't downloaded the app then select to Download on the App Store. Once the app has been downloaded from the app store then select Open to view NextMinute app. As you can see below, you will get a Welcome email from us. If you haven't downloaded the app then from here you can also select to Download on the App Store.